The Monroe Amateur Radio Club uses three frequencies for club operations. The main frequency is the W4YJ repeater located in Sweetwater (Monroe County). This is a 2 meter machine that covers South to McMinn County, North into Knox County, West into Cumberland County, and as far East as Robbinsville, North Carolina. This machine is considered a “local machine” but it has a very excellent range in East Tennessee. Also linked to the W4YJ 2 meter machine, is the KK4DKW repeater, a 2 meter machine located in Maryville (Blount County). This machine links to the W4YJ machine and allows the capability to expand the coverage area of both machines, allowing for maximum coverage of East Tennessee. 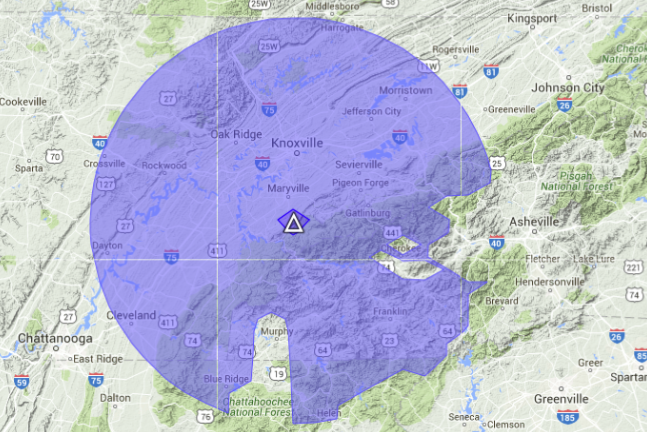 The coverage area of the KK4DKW repeater covers East Tennessee from Crossville towards Morristown, Western North Carolina, and some portions of North Georgia. At one time this repeater was owned and operated by Mr. Jason Roach, KF4VDX. After Jason’s passing, Eric Franks, KK4DKW, took over the operation of this repeater in his memory. 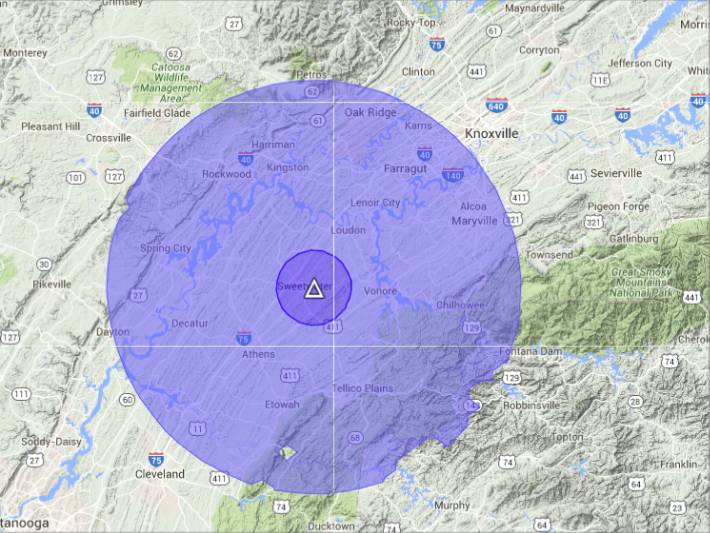 Both of these machines linked together, help one another provide excellent coverage of East Tennessee. Our club is very fortunate for the two repeater owners allowing us to use their repeaters, and for their continued work to maintain these repeater systems.